NewDelhi : In order to provide high employment potential trades related to automobile and manufacturing industry to youth under the Skill India Mission, Directorate General of Training (DGT), Ministry of Skill Development & Entrepreneurship, Government of India and Maruti Suzuki India have signed a Memorandum of Understanding today. The Flexi MoU was signed by Vijay Kumar Dev, Director General, DGT (MSDE) and Mukesh Kumar Gupta, Vice President (Maruti Suzuki India Limited). As a part of the agreement, Maruti Suzuki in consultation with DGT will develop specific training modules as per need of the automobile industry. The company shall conduct courses at pan-India locations leveraging the facilities and services available at ITIs, regional training centers, training centers of training partners, vendors and dealers associated with Maruti Suzuki. The courses include Manufacturing, Automotive Service & Repair, Automotive Body Repair and Automotive Paint Repair. Maruti Suzuki shall also identify new courses as per the requirements of the automobile value chain and propose the same to DGT for approval. All these courses are to be approved by NCVT (National Council for Vocational Training) and it will award certificates to all candidates who successfully complete the course. As a part of the agreement, Maruti Suzuki in consultation with DGT will develop specific training modules as per need of the automobile industry. The company shall conduct courses at pan-India locations leveraging the facilities and services available at ITIs, regional training centers, training centers of training partners, vendors and dealers associated with Maruti Suzuki. The courses include Manufacturing, Automotive Service & Repair, Automotive Body Repair and Automotive Paint Repair. Maruti Suzuki shall also identify new courses as per the requirements of the automobile value chain and propose the same to DGT for approval. The successful trainees will be eligible for employment in Maruti Suzuki or its business partners after due screening and fulfilment of selection criteria by Maruti Suzuki or its business partners. As on 15th December 2017, over 1680 students have enrolled for the course and this figure is expected to go upto 2400 by FY 2018-19. This association will provide an opportunity to the youth to acquire skills related to automobile and manufacturing industry through specially designed “Learn and Earn” approach, consisting a mix of theoretical and On-the-Job Training (OJT) components, thereby improving their employability potential. It will also contribute in the overall growth of automobile and manufacturing industry by creating a pool of skilled resources. All course content will be covered under CTS (Flexi MoU) and DGT will ensure that the assessment is done expeditiously on completion of course, by the appropriate assessing body. 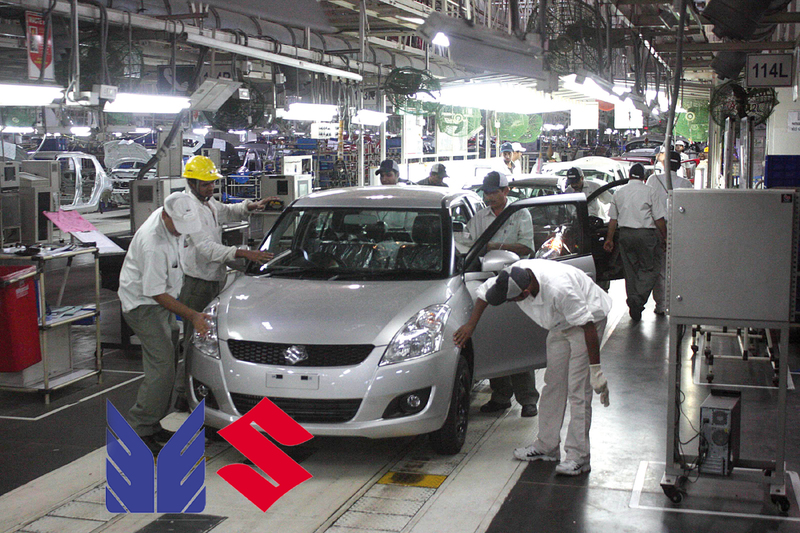 Maruti Suzuki will ensure that not less than 80% of trainees are placed with Maruti Suzuki or its business partners. The automobile manufacturer will also ensure the eligible trainees take up apprenticeship / higher education in suitable streams and shall also guide the students to become entrepreneurs.